County A rmagh, Northern Ireland, 27 February 2015 – Following on from a well-executed installation in 2011, Rapid International Ltd (County Armagh, Northern Ireland) is pleased to have delivered another successful plant for one of the UK’s leading independent operators in the construction supply sector, Skene Group. 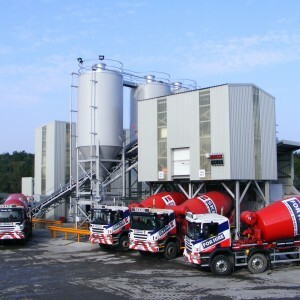 Skene Group (Fife, Scotland) commissioned Rapid to design, build and install a state of the art ready mix plant that is capable of loading 8m3 mixer trucks in four minutes for its Glenrothes depot. The design was initially based on Skene’s already prosperous Soutra Mains (Scotland) ready mix plant, built by Rapid in 2011. 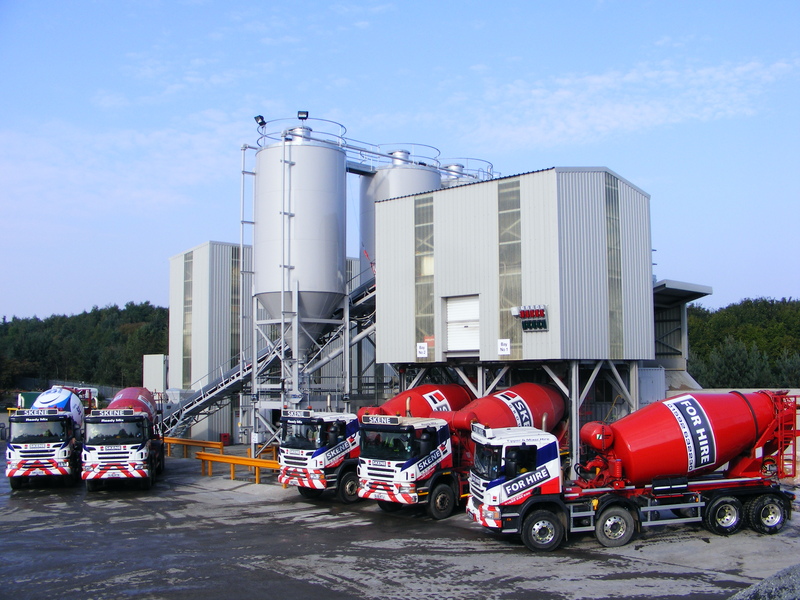 The new state of the art 90m3 per hour ready mix plant is comprised of three 100T cement silos, a Rapid R2000 (2 door) pan mixer and 200T aggregate storage. Incorporating Pneutrol International Ltd’s ‘Dynamix Batching Control System’, plant batching is accurately controlled, with safety in mind. The build took just over four weeks and the bespoke plant can deliver in excess of 1000 cubic meters of ready mix concrete per day. Rapid’s high quality engineered bespoke plant components are designed to provide a lifetime of reliable service. Rapid’s experienced design engineers consider safety and maintenance of components as well as functionality. Fully bespoke, Rapid’s plant can be customised to include many optional extras including but not limited to dust control systems, wear linings to aggregate hoppers, multiple outlet options i.e. belt feeders or pneumatics doors and various mixer options i.e. pan, planetary or twin shaft. Rapid’s vast experience over the last four decades ensures the highest quality design and manufacture of all equipment. Quality, reliability, efficiency and technological advancement are the greatest aims of Rapid’s workforce, based at its impressive 50,000 sq ft production facility and headquarters. Always innovating, Rapid’s emphasis on product development is driven by the needs of its wide reaching customer base, and the company’s in-house technical team consistently strive to meet the demands of total quality while exceeding customers’ expectations.